Four Cherries is a painting by Torrie Smiley which was uploaded on July 16th, 2010. 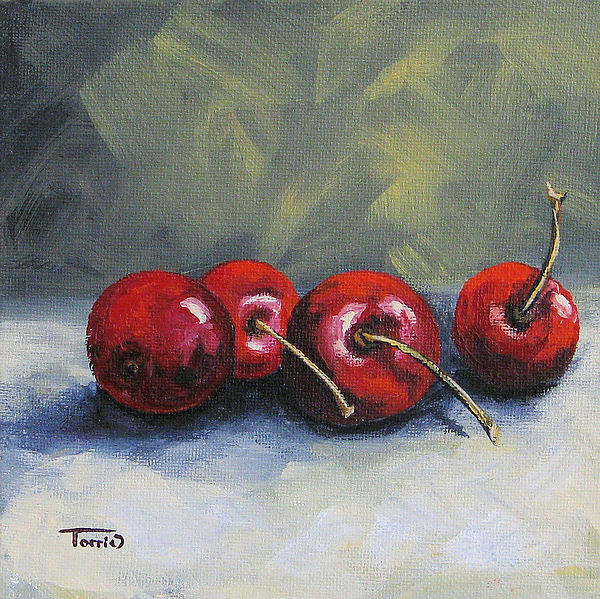 I have started participating in the new challenge painting group at www.rookiepainter.blogspot.com ~ when time permits. 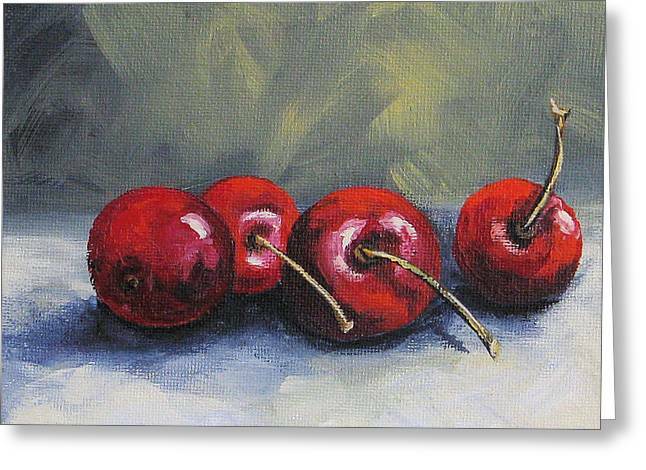 This was a fun painting to do....I love painting cherries. 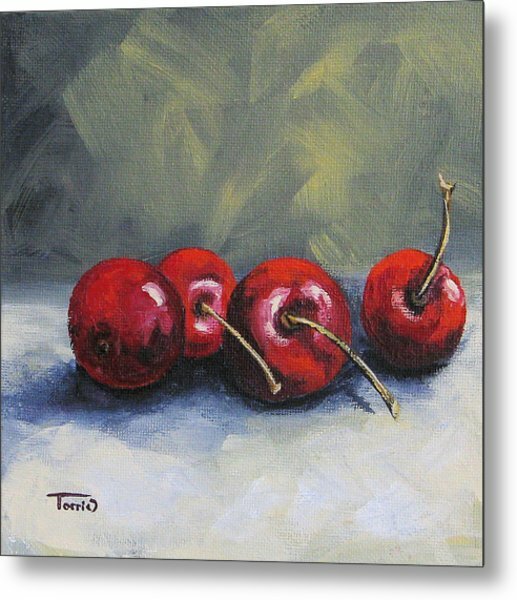 Four Cherries was completed in my home studio in Charlotte, North Carolina. c2010. Media: Four Cherries was painted using professional artist grade acrylic paint on a small canvas panel. 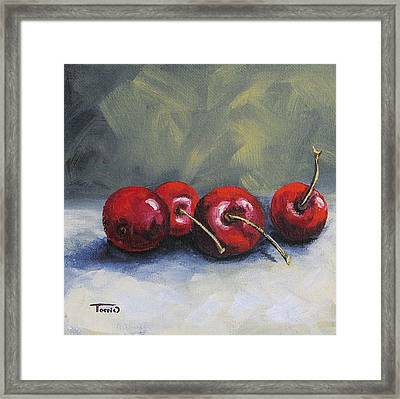 Painting can be framed or placed on a small display easel. 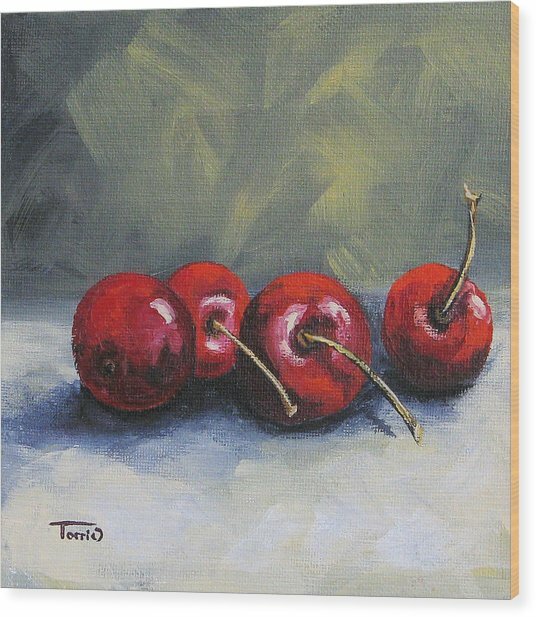 Painting was finished with a light coat of varnish. Congratulations on your sale Torrie, many more. Congratulations on your $ale Torrie! Torrie,Congrats on your sale of the Cherries, very nice work.! !